Jakarta (also DKI Jakarta) is the capital and largest city of Indonesia. 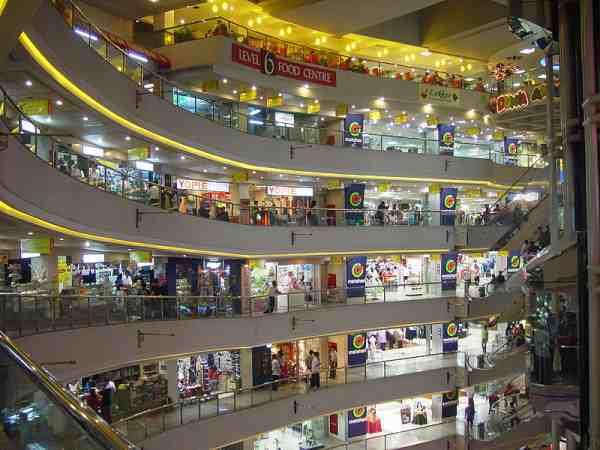 It is the largest city by population in Indonesia and in Southeast Asia as a whole. It was formerly known as Sunda Kelapa (397–1527), Jayakarta (1527–1619), Batavia (1619–1942), and Djakarta (1942–1972). Located on the northwest coast of Java, it has an area of 661.52 square kilometres (255.41 sq mi) and a population of 8,489,910. 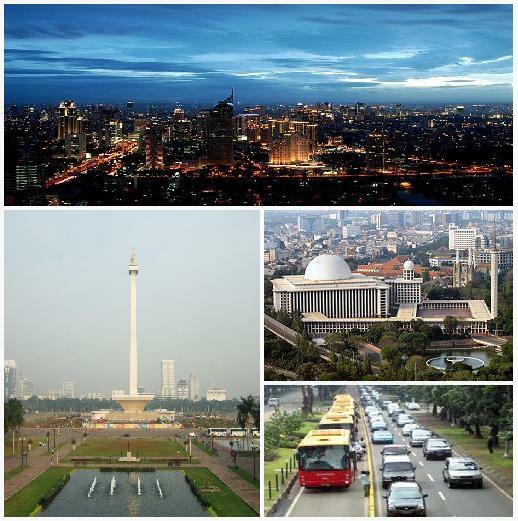 Jakarta is the country's economic, cultural and political center. Jakarta is the twelfth-largest city in the world; the metropolitan area, called Jabodetabek, is now the second largest in the world. First established in the fourth century, the city became an important trading port for the Kingdom of Sunda. 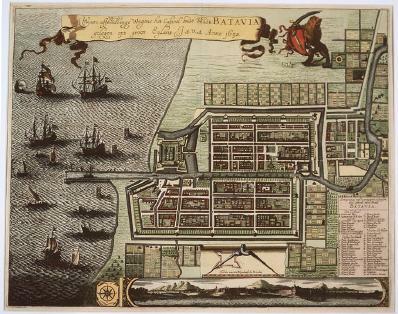 As Batavia, it grew greatly as the capital of the colonial Dutch East Indies. Renamed Jakarta in 1942 during Japan's occupation of Java, it was made the capital city of Indonesia when the country became independent after World War II. Major landmarks in Jakarta include Indonesia Stock Exchange, the Bank of Indonesia, and the National Monument (Tugu Monas). The city is the seat of the ASEAN Secretariat. Jakarta is served by the Soekarno-Hatta International Airport, Halim Perdanakusuma International Airport, and Tanjung Priok harbour; it is connected by several intercity and commuter railways, and served by several bus lines running on reserved busways. Jakarta is located on the northwestern coast of Java, at the mouth of the Ciliwung River on Jakarta Bay, which is an inlet of the Java Sea. 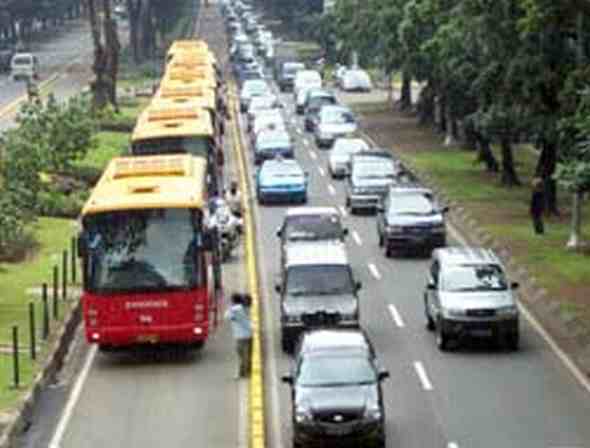 The northern part of Jakarta is constituted on a plain land, approximately eight meters above the sea level. This contributes to the frequent flooding. The southern parts of the city are hilly. There are about thirteen rivers flowing through Jakarta, mostly flowing from the hilly southern parts of the city northwards towards the Java Sea. The most important river is the Ciliwung River, which divides the city into the western and eastern principalities. 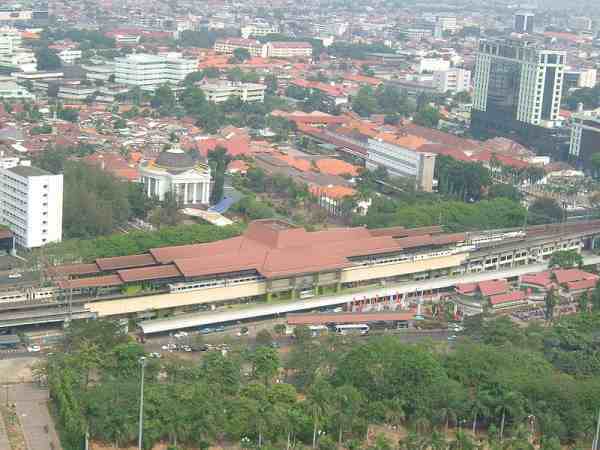 The city border is the province of West Java on its east side and the province of Banten on its west side. Jakarta has a hot and humid equatorial/tropical climate (Af) according to the Köppen climate classification system. Located in the western-part of Indonesia, Jakarta's wet season rainfall peak is January with average monthly rainfall of 400 millimetres (16 in), and its dry season low point is August with a monthly average of 70 millimetres (2.8 in). The city is humid throughout the year with daily temperature range of 25° to 36°C (77°-97°F). The old name of Jakarta was Sunda Kelapa. The earliest record mentioning this area as a capital city can be traced to the Indianised kingdom of Tarumanagara as early as the fourth century. In AD 39, King Purnawarman established Sunda Pura as a new capital city for the kingdom, located at the northern coast of Java. Purnawarman left seven memorial stones with inscriptions bearing his name spread across the area, including the present-day Banten and West Java provinces. 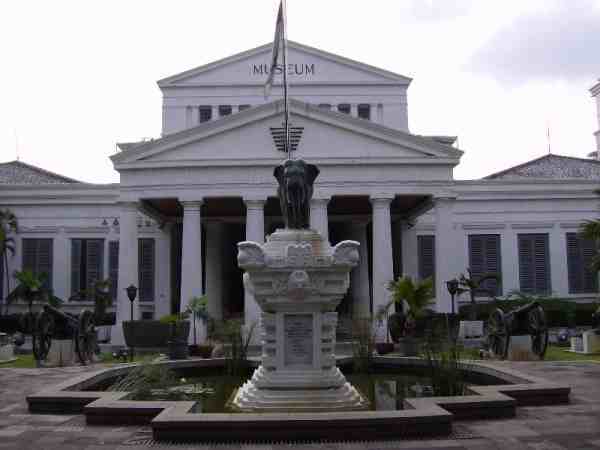 The Tugu Inscription is considered the oldest of all of them. After the power of Tarumanagara declined, all of its many territories, including Sunda Pura, became part of the Kingdom of Sunda. The harbour area were renamed Sunda Kelapa as written in a Hindu monk's lontar manuscripts, which are now located at the Bodleian Library of Oxford University in England, and travel records by Prince Bujangga Manik. 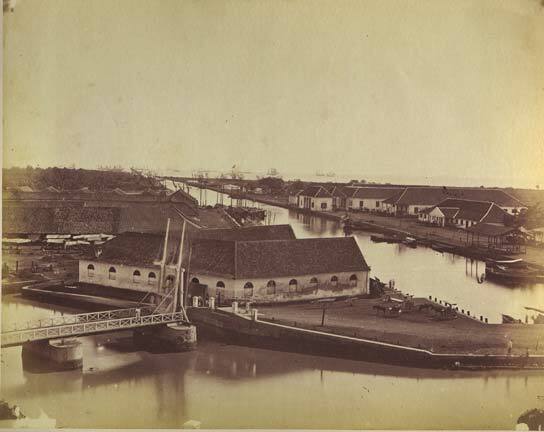 By the fourteenth century, Sunda Kelapa became a major trading port for the kingdom. The first European fleet, four Portuguese ships from Malacca, arrived in 1513 when the Portuguese were looking for a route for spices, especially black pepper. The Kingdom of Sunda made a peace agreement with Portugal by allowing the Portuguese to build a port in 1522 in order to defend against the rising power of the Sultanate of Demak from central Java. In 1527, Fatahillah, a Sumatran Malay warrior from Demak attacked Kingdom of Sunda and succeeded in conquering the harbour on June 22, 1527, after which Sunda Kelapa was renamed Jayakarta. 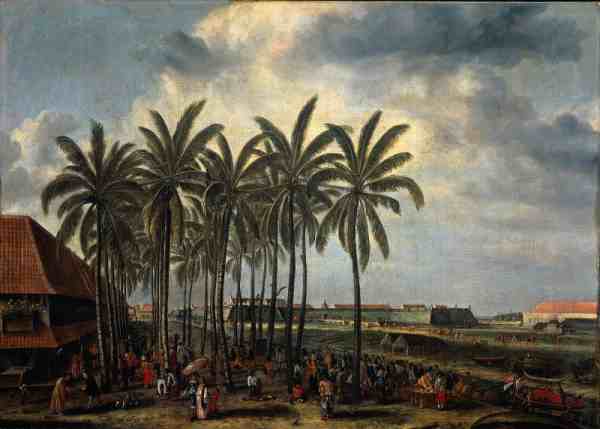 Through the relationship with Prince Jayawikarta from the Sultanate of Banten, Dutch ships arrived in Jayakarta in 1596. In 1602, the British East India Company's first voyage, commanded by Sir James Lancaster, arrived in Aceh and sailed on to Banten where they were allowed to build a trading post. 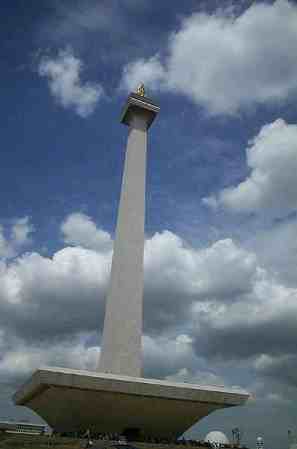 This site became the center of British trade in Indonesia until 1682. Apparently, Jayawikarta also made a trading connection with the English merchants, rivals of the Dutch, by allowing them to build houses directly across from the Dutch buildings in 1615. When relations between Prince Jayawikarta and the Dutch later deteriorated, Jayawikarta's soldiers attacked the Dutch fortress. But even with the help of fifteen British ships, Prince Jayakarta's army wasn't able to defeat the Dutch, in part owing to the timely arrival of Jan Pieterszoon Coen (J.P. Coen). The Dutch burned the English fort, and forced the English retreat on their ships. With this victory, Dutch power in the area was consolidated. In 1619 they renamed the city "Batavia." Commercial opportunities in the capital of the Dutch colony attracted Indonesian and especially Chinese immigrants, the increasing numbers creating burdens on the city. Tensions grew as the colonial government tried to restrict Chinese migration through deportations. On 9 October 1740, 5,000 Chinese were massacred and the following year, Chinese inhabitants were moved to Glodok outside the city walls. The city began to move further south as epidemics in 1835 and 1870 encouraged more people to move far south of the port. 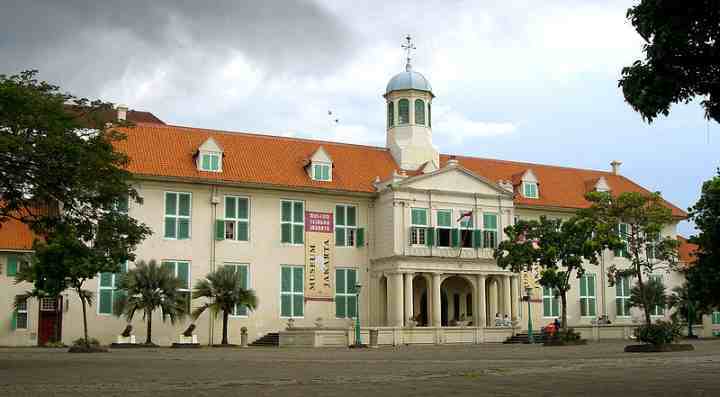 The Koningsplein, now Merdeka Square was completed in 1818, the housing park of Menteng was started in 1913, and Kebayoran Baru was the last Dutch-built residential area. By 1930 Batavia had more than 500,000 inhabitants, including 37,067 Europeans. The city was renamed "Jakarta" by the Japanese during their World War II occupation of Indonesia. Following World War II, Indonesian Republicans withdrew from allied-occupied Jakarta during their fight for Indonesian independence and established their capital in Yogyakarta. 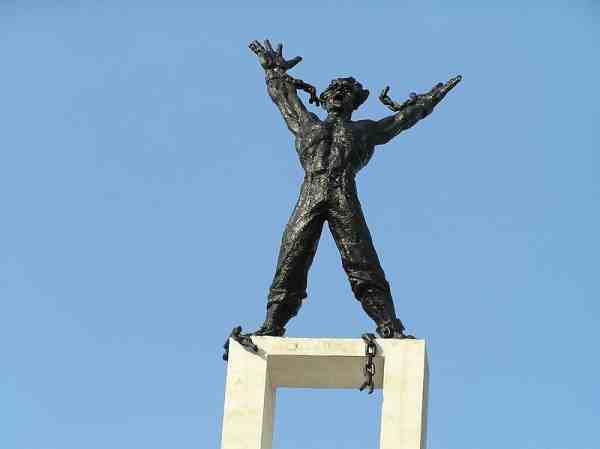 In 1950, once independence was secured, Jakarta was once again made the national capital. 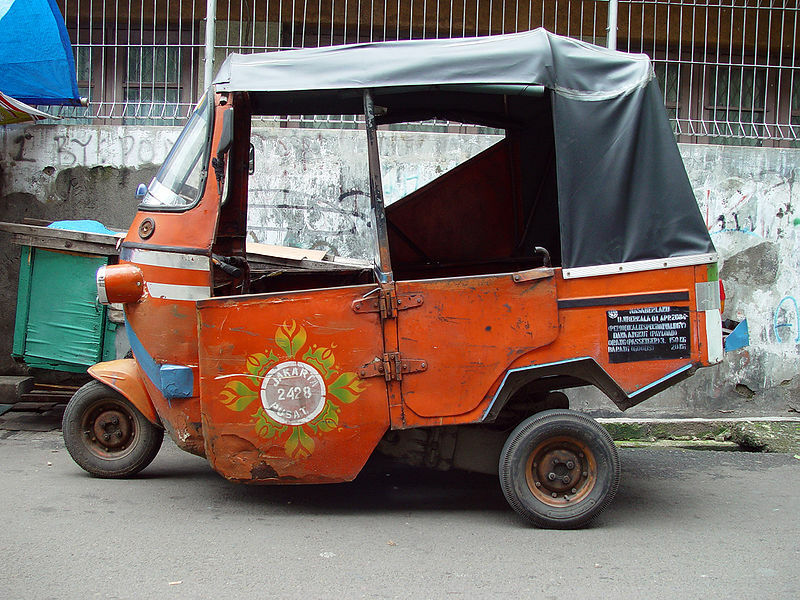 Indonesia's founding president, Sukarno, envisaged Jakarta as a great international city. He instigated large government-funded projects undertaken with openly nationalistic and modernist architecture. 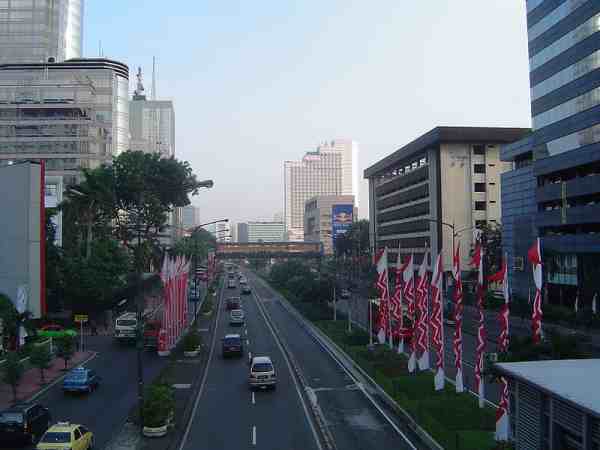 Projects in Jakarta included a clover-leaf highway, a major boulevard (Jalan MH Thamrin-Sudirman), monuments such as The National Monument, major hotels, shopping centre, and a new parliament building. In October 1965, Jakarta was the site of an abortive coup attempt which saw 6 top generals killed, and ultimately resulted in the downfall of Sukarno and the start of Suharto's "New Order. A propaganda monument stands at the place where the general's bodies were dumped. In 1966, Jakarta was declared a "special capital city district" (daerah khusus ibukota), thus gaining a status approximately equivalent to that of a state or province. Lieutenant General Ali Sadikin served as Governor from the mid-60's commencement of the "New Order" through to 1977; he rehabilitated roads and bridges, encouraged the arts, built several hospitals, and a large number of new schools. He also cleared out slum dwellers for new development projects—some for the benefit of the Suharto family — and tried to eliminate rickshaws and ban street vendors. He began control of migration to the city in order to stem the overcrowding and poverty. Land redistribution, structural adjustment, and foreign investment contributed to a real estate boom which changed the face of the city. The boom ended with the 1997/98 East Asian Economic crisis putting Jakarta at the center of violence, protest, and political maneuvering. Long-time president, Suharto, began to lose his grip on power. Tensions reached a peak in the Jakarta riots of May 1998, when four students were shot dead at Trisakti University by security forces; four days of riots and violence ensued resulting in the loss of an estimated 1,200 lives and 6,000 buildings damaged or destroyed. The Jakarta riots targeted many Chinese Indonesians. Suharto resigned as president, and Jakarta has remained the focal point of democratic change in Indonesia. A number of Jemaah Islamiah-connected bombings have occurred in the city since 2000. This page was retrieved and condensed from (http://en.wikipedia.org/wiki/Jakarta) see Wikipedia, the free encyclopedia, November 2008.